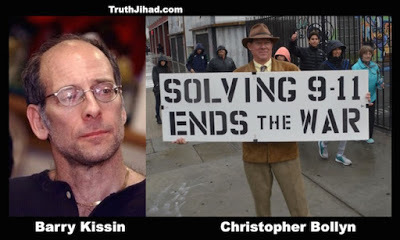 First hour: Barry Kissin, attorney and author of “The Truth About the Anthrax Attacks,” responds to Christopher Bollyn’s appearance on last week’s show – and discusses his new article Critique of Christopher Bollyn and his Influence Upon the Truth Movement. This show was broadcast on October 1, 2017. This entry was posted on Saturday, September 30th, 2017 at 2:38 pm	and is filed under 9/11, Anti-War, Censorship-Propaganda, Education, False Flag/Fake Terror, Freedom, Geopolitics, Kevin Barrett, Neoliberalism, News, Politics, Protest. You can follow any responses to this entry through the RSS 2.0 feed. Lindgren too is living in denial and cannot SEE just WHO Trump really represents and is controlled by. Seems to me that most of these Jewish Alternative ‘Truthers’ who I find arrogant, just cannot accept the fact people from their ‘Tribe’ carried out such a violent inhuman attack. It makes them feel uncomfortable. and ISRAEL controls America- it is more than just ‘influence’. It is disingenuous to say that America does not take any orders from Israel!! Israel DID 9/11- period. They had the contacts, Sayanem Operatives, the means, the funding, the technology, the military and Terrorist capabilities to carry this out! Kissin should accept the hard FACT that America is NOW the United State of Israel and everything ‘America’ does is for the interests of Israel, World Zionist Jewry whose blood stained Talons are spread worldwide from the Americans through to Middle East, Asia, Africa, and even Russia and China. ISRAEL DOES own and control America Mr Kissin!! !You cannot DENY THIS FACT! !